Zinc is a great metal roofing material and one we use a lot here at JTC. 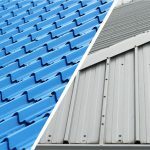 Metal roofing, as a whole, is well used around the world, particularly for commercial buildings and period roof renovations. Metal roofs are most commonly fabricated from galvanised steel, copper, aluminium, zinc and stainless steel. Each has different properties and benefits which suit them to different applications and environments. 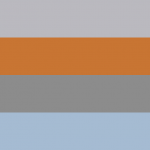 Stainless steel, for example, is commonly used where corrosion is an issue, perhaps in locations near to the coast. 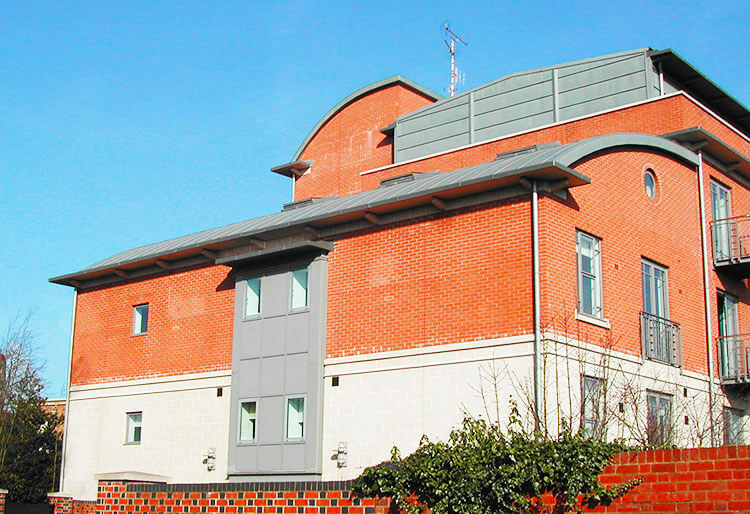 A zinc roof is also extremely corrosion resistant, but also offers further advantages over other metal roofs. Zinc roofing is self-healing, meaning that if is scratched the zinc roofing material it can recover given time. It has a low maintenance care regime. 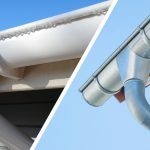 Even in a harsh site, exposed to spray and wind, you can install it and basically forget about it. 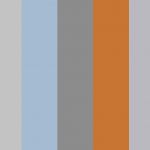 Zinc offers a more aesthetic appeal than some of the other metals you could use. 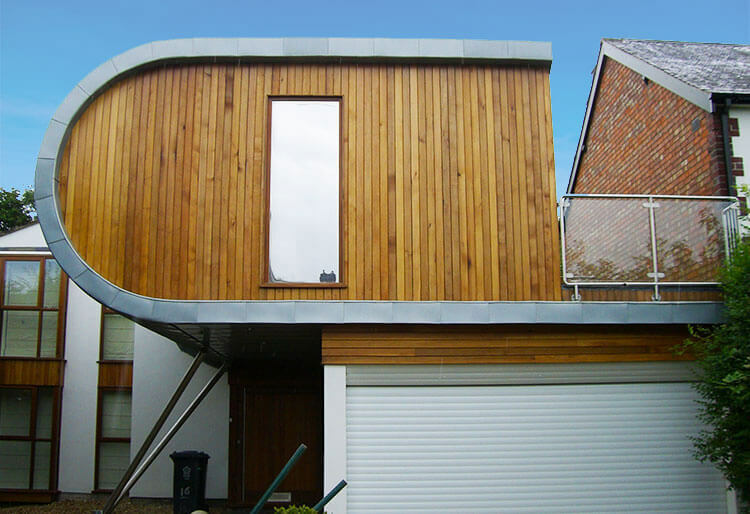 On top of this, architects like it because it can be formed into interesting shapes and curves whilst retaining it durable qualities. As such, it is ideal for forming flashing around chimneys and dormer windows, as well as the main body of the roof. Some people worry about the eco-friendly nature of zinc roofing. 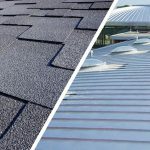 However, it should be noted that a zinc roof takes less energy to produce than a lot of other metal systems, simply because it has a lower melting point making it easier to form with less energy. When the roof’s life comes to an end, or the building is to be taken down, the material used in the roof is completely recyclable. Nevertheless, the longevity of the material is its real advantage in terms of its green credentials. 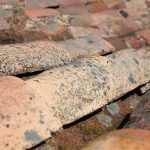 Many manufacturers will justly claim that their roofing panels & sheets will live for over a century if they are fitted in a normal environment. 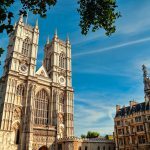 In rough terms, that is three to four times longer than either a steel roof or a concrete tiled one. 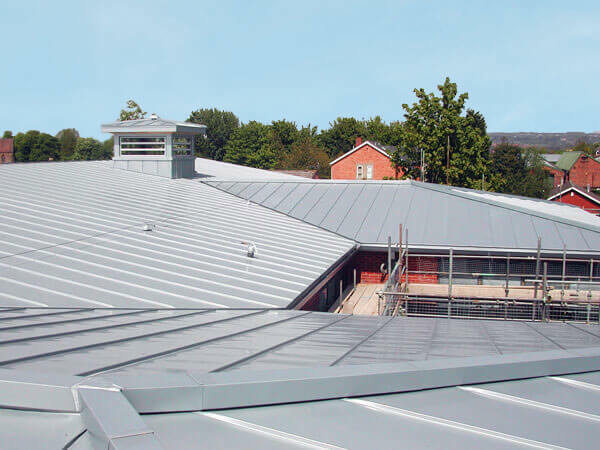 If you are considering metal for your building, including a zinc roof, then you must consider a roofing specialist – such as the team here at JTC – to supply and install it for you. 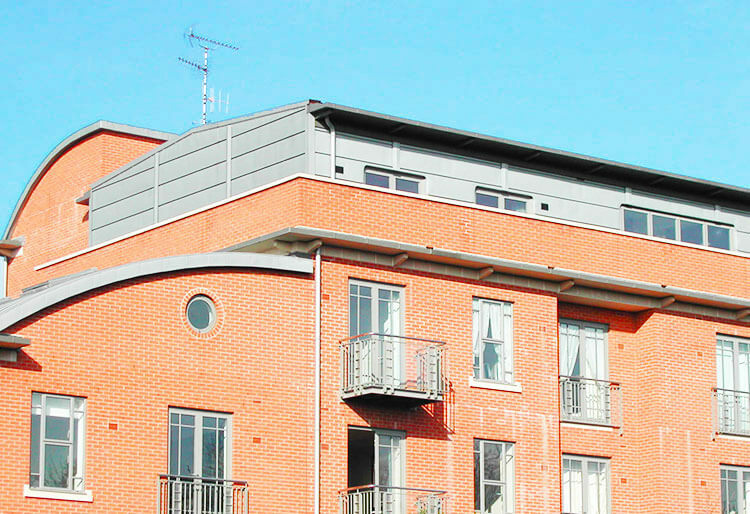 We have a wealth of experience installing zinc roofing and have worked on a huge range of projects over the years. 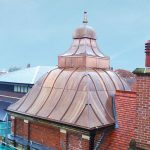 Fit by our experts, your metal roof will last a lifetime and even longer, protecting your home or commercial building from the elements and providing an aesthetically pleasing finish. 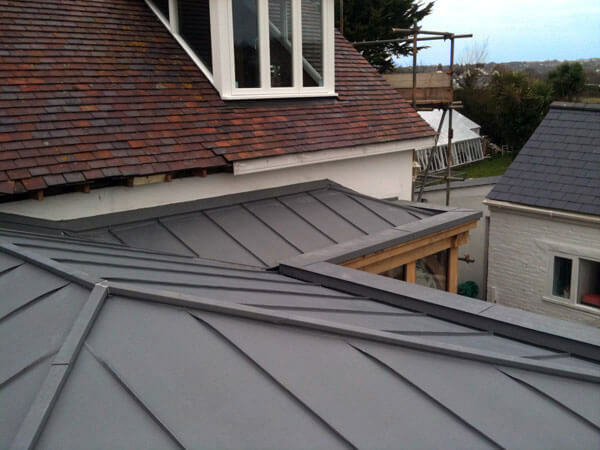 For more information on our zinc roofing services get in touch today.